The idea of a young genius solving a decades old problem while skipping maths and computer science classes is fascinating, but is it true? We won’t know for sure until he comes out or he is uncovered, but that’s the claim of an analysis that looks at the times and dates of activity by Satoshi Nakamoto, the as yet still unknown bitcoin inventor. The analysis begins by looking at the whitepaper’s timestamp metadata. Specifically the early draft bitcoin whitepaper published in October 2008 and the one published in March 2009. This is still largely North America. One can of course manipulate this timestamp and fairly easily. So it doesn’t mean he actually was in USA. It may well be that’s just what he wants us to think. 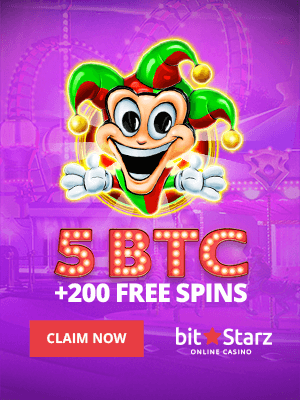 Starting in October 2009, he wanted us to think that he was in Britain as Satoshi’s commits to the Bitcoin repository show his computer used British Summer Time (BST) between the 21st of October 2009 to 15th of December 2010 after which he no longer participated. The problem is that analysis of the time of his postings show he was active between 1am and 7am London time. He could have, of course, been a night owl, but the suggestion is that’s quite unlikely. Far more likely he was in America when such posts would have been during normal hours. 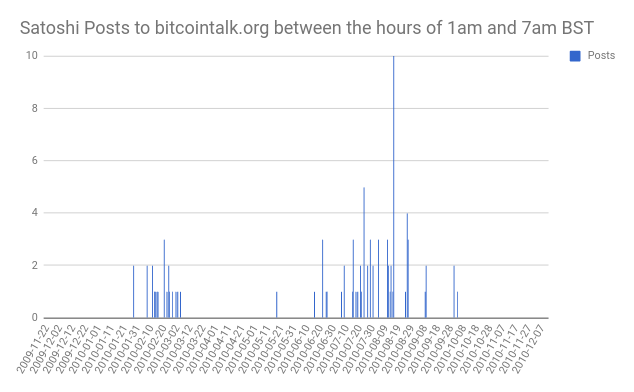 Nakamoto’s posts between 1am and 7am London time. However, if we look at this 1am to 7am activity by date, the analysis suggests it was largely confined to the summer of 2010 and the month of February. 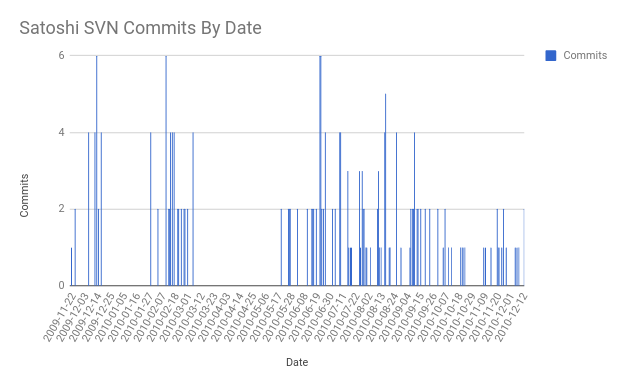 “This clustering of late-night activity to summer and the month of February is also seen in his commit activity,” they say. Another interesting thing to note here is the periods of activity as if we look at all activity rather than just 1am to 7am, we can potentially garner some important information. 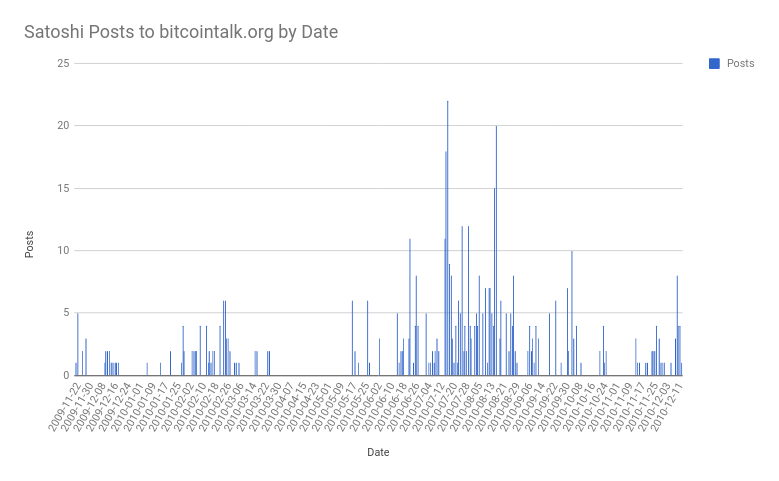 “The thing that catches our eye in the above graphs is that Satoshi spent little or no time on Bitcoin-related activity in the months of March, April and May and then entered a sustained burst of activity during the summer of 2010, including pulling quite a few all-nighters. This is the behaviour of someone who at the end of February found himself with an all-consuming task to complete by the end of May and then had practically unlimited free time, including the latitude to work into the small hours of the night, until the following October. To me this suggests a student cramming for final university exams in May/June and then returning to his hobby pursuit with renewed enthusiasm once they were over. A student cramming for exams is a very interesting idea. We’ve all been there. Paying no attention during the entire year, then reading all the book/s, lectures, workshops, over a few weeks. That obviously would depend on what he was studying. You can’t quite do that with maths. With computer science too is difficult as it’s usually very hands on and project based. You can easily do it with economics, however. A Young Genius Roaming Earth? The idea of a university college student, so a 20-21 year old, can be believable if we’re really thinking of a genius. Some of the Nakamoto persona, however, is a product of knowledge rather than “simple” genius. His birthday, for example, is April 5th, the day in 1933 that President Franklin D. Roosevelt signed Executive Order 6102 to seize gold from American citizens. The year of his birthday is 1975, a year in which the above order was effectively rescinded. If we assume a very studious and quite an intelligent young man, then coming across such information as the above wouldn’t be very hard. Moreover, if he was intelligent, then presumably his parents would have been too. It might have even been a banker and a computer scientist, who is to know. That would make Satoshi Nakamoto about 30 years old if the above conclusion is correct. Just a bit older than Vitalik Buterin who also invented ethereum at a very young age. Nakamoto, of course, had to come up with a lot more than Buterin, but the fact he did do so does suggest he was and still is young and uncluttered from the “dogma” of previous attempts to solve the double spending problem. Now who exactly was it, remains unknown, with the standard of proof rising to that of signing the genesis block with a private key. Little else would do unless it is at a comparable level. Nor has any journalist succeeded over so many years despite the immense prize of revealing the most mysterious and perhaps the most fascinating man in living times. And if you are talking about a student here. It is not inconceivable that a Masters student spends many all nighters. Why is it inconceivable that someone in Britain wouldn’t intersperse his studying time with a bit of tinkering on his pet project to keep him alert and focused all night? I mean not only is your article ageist but it is also America-centric. Why am I not surprised the author doesn’t name her/himself? 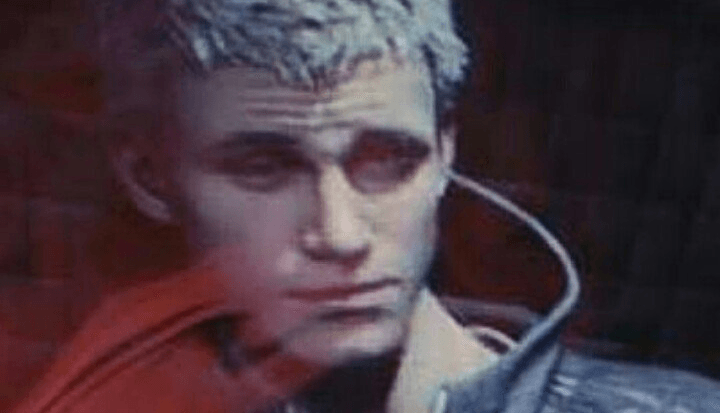 So only 18 year olds go to university? Ever heard of Masters programs? How about people that come back to university to do another BA or those entering later in life? My point is your article is very ageist. You need to check your privilege.